Wait! If you have a swarm of bees that are threatening the safety of you, your family or your neighbors, don’t hesitate – call your Seal Beach bee removal experts at Bee Busters! 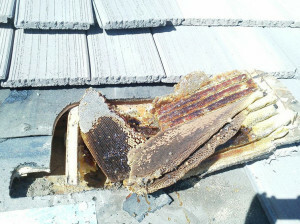 If you’ve got unwanted bees, you need Seal Beach Bee Removal provider Bee Busters. We can come out the same day and resolve your bee or wasp problem quickly and effectively. We offer flat rates with no surprises. 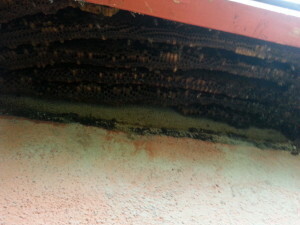 We do bee removal in Seal Beach quite often. Removing bees from walls, bees in meter boxes and bees in trees. There are two major claims to fame in Seal Beach. One is the Naval Weapons Station Seal Beach military base, which was built in WWII to provide munitions for the United State’s Pacific Fleet. Today this military base takes up most of the city’s acreage. The other claim to fame is the historic Anaheim Landing boat landing and seaside recreation area. This California Historical Landmark used to be an amusement park before Disneyland was built inland. Alongside this historic draw to the city there are a number of festivals held year round that keep people coming back to enjoy everything Seal Beach has to offer. Of course, bees enjoy it too, which is why there is a professional bee removal company servicing Seal Beach, CA. Bee Busters, Inc. is a licensed, bonded and insured bee removal team with expert and hobbyist bee keeper staff members on hand. Bees around your home when there are no flowers or water can indicate a colony of bees in the area. Occasionally bees build their homes in exposed locations but most of the time they build in a void space. Calling our professional Seal Beach bee removal experts to remove unwanted bees, wasps, and yellow jackets is a good decision. It is safer for all involved. Prevention of resettlement due to pheromones left behind is another benefit. Removal also prevents damage from other pests or melting wax and honey. Bee Busters works in your community on residential and commercial sites. Our services are the most innovative in the country. Seal Beach Bee Removal: Problem bees need to be safely dealt with. All wild swarms now have Africanized Honeybees making community safety a primary concern. We seek out and remove both the colony or swarm and the honeycombs created. We also educate the property owner to prevent future bee related issues. 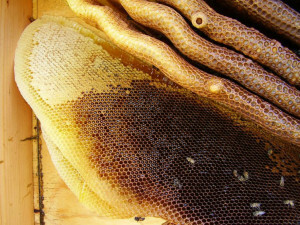 Seal Beach Beekeeping: Looking for a great hobby? Bee keeping fits the bill for any age. Bee Busters offers bee keeper classes and training for those interested in bee keeping. We also do on site pollination, group educational seminars on bees and sell fresh local honey for sale. If you want more information please give us a call. For over 25 years, Bee Busters Inc. has been providing Seal Beach bee removal and bee control services. We specialize in handling removal of bees, wasps, yellow jackets and stinging insects in homes and business properties. For any bee problem, swarm or colony, contact us at 949-497-6264. Our technicians will be happy to take a look around your property and give recommendations for prevention. Call your Seal Beach Bee Removal Experts Today!